PROUD CHEF: Ralph Motta of St. Croix at the competition in Miami. In the photograph is Motta’s passion fruit pan-seared yellowtail snapper with sweet plantain purée, cilantro mash potato, cilantro lime shrimp, and scotch bonnet glaze with roasted coconut. MIAMI – Trinidad and Tobago is the Caribbean National Culinary Team of the Year. Ralph Motta of St. Croix took home a silver in the individual seafood mystery basket competition while representing the territory against 12 other islands. 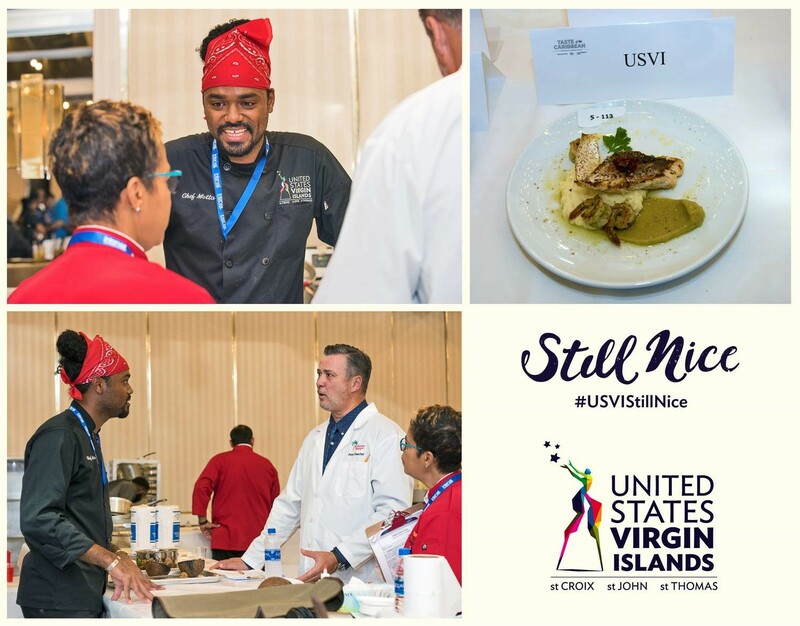 Chef Motta was also part of a combined “Caribbean Strong” team from Anguilla, British Virgin Islands, Puerto Rico and the USVI, which won the Tony Mack Spirit of the Competition award. Tourism Commissioner Beverly Nicholson-Doty congratulated “U.S. 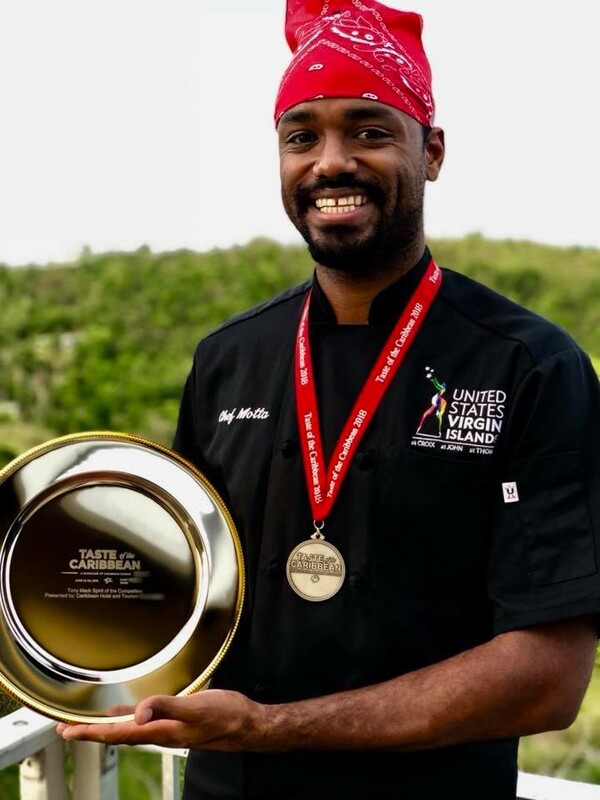 Virgin Islands Culinary Ambassador Chef Ralph Motta” for his success at the Taste of the Caribbean culinary competition which was held in Miami from June 22 to 26.